This is the pool bar at Sapphire Falls, featuring typical food you’d expect to find on a pool bar menu. 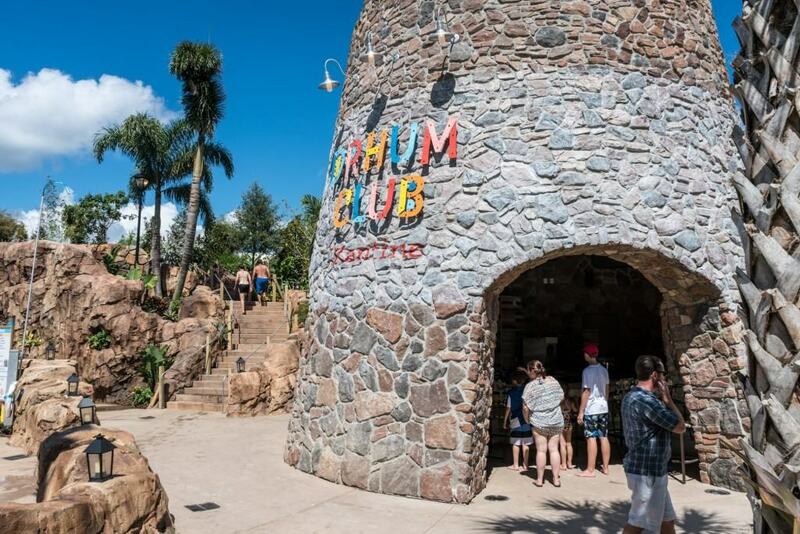 Drhum Club Kantine is great for a drink and snack, but if you’re looking for higher quality food you’ll want to return inside the hotel to Amatista Cookhouse or even Strong Water Tavern. Have a souvenir cup from the pool bar at Royal Pacific, Hard Rock, or Portofino? Bring it here to receive discounted refills for $10 (opposed to $18). You can also use the Sapphire Falls souvenir cup at the other hotel’s pool bars, besides Cabana Bay. 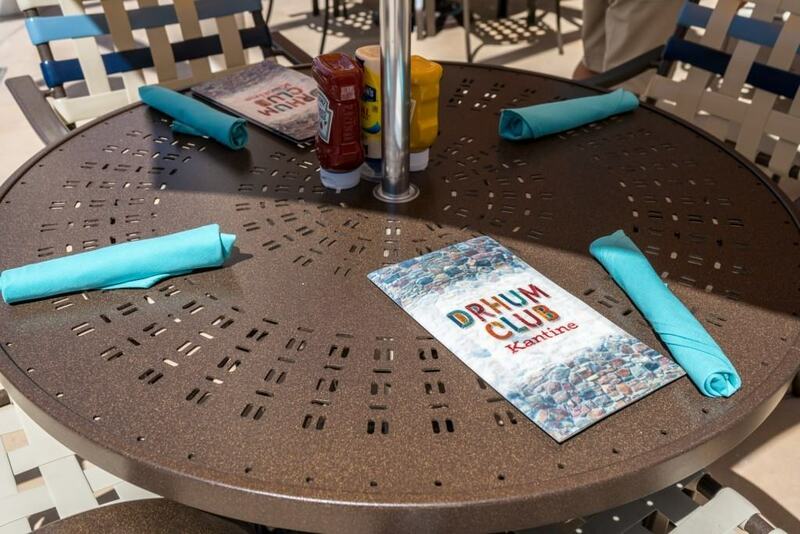 Food at Drhum Club Kantine ranges from $9-$23. Drinks are $7-$35. 18% gratuity added to every check. Served with ZTF French Fries, Garden Greens, or Fruit Bowl. All signature cocktails are served in a souvenir glass.